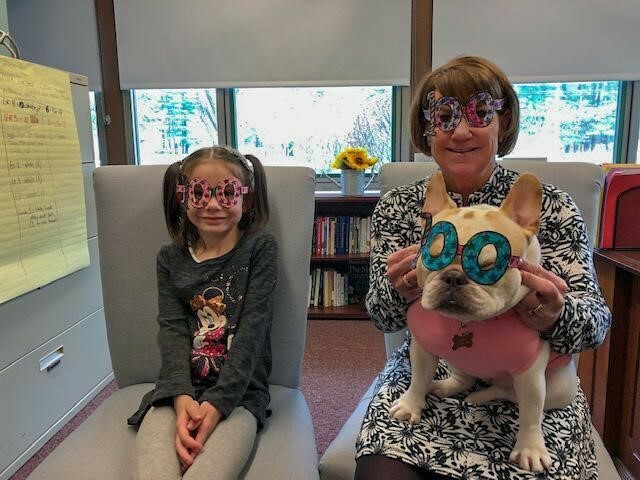 Andover High School junior Hannah Finn was featured last week on WCVB’s “5 for Good” for her non-profit organization “One Wish Project.” Great job, Hannah! When asked to define innovation, AHS sophomore Meera Kumar turns to her favorite quote by Nobel Laureate Albert Sent-Gyorgi: “Discovery is seeing what everybody else has seen, and thinking what nobody else has thought.” Innovation to Meera means identifying a challenge, finding a way to see beyond the challenge to create ideas and solutions with tools and resources that might not be traditional. Meera has immersed herself in opportunities at AHS, collaborating with her peers to create the Andover Entrepreneurship Forum (AEF). The group encourages entrepreneurship through innovation, providing a platform for students to question the world around them, identify and research problems and design human-centered solutions. The AEF is currently sponsoring an ED APP CHALLENGE, in which participants are encouraged to design an app or game that will improve the high school experience for all students. Options include student engagement, teacher engagement or teacher-student information sharing. Meera is a global scholar in the Global Engagement Program, and plans to travel to India in the next few years as part of her global service. She has also spent some time speaking with students from Afghanistan through the Global Portal, which provides AHS students a face-to-face connection to peers and cultures from around the world. Meera is inspired by a hands-on approach to learning. She spends a great deal of time in the IDEA studio at the high school. She plans to continue her studies in computer science after high school and is the co-founder of the Girls Coding Club at AHS. Meera was interested in learning a new sport as she entered high school and started an archery club—she says it’s a great way to relieve stress! 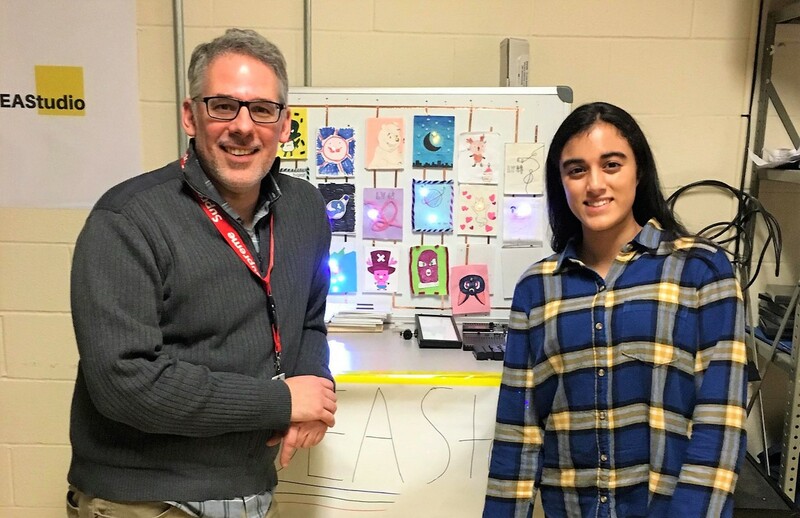 APS’s Director of Strategic Innovation Steve Chinosi defines innovation as providing opportunity to students like Meera through personalized learning. Steve began his teaching career 25 years ago and has seen the significant impact of providing students with the opportunity to think about and experiment with innovation. 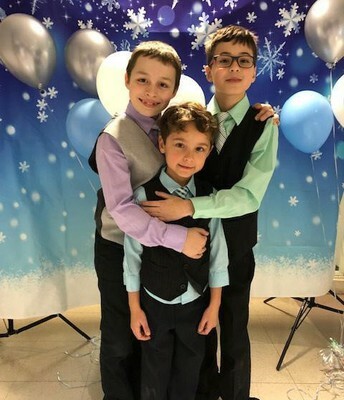 Allowing students of all ages and abilities to have the chance to define what interests them, and then personalizing the learning process so that they can pursue those interests provides the opportunity for rich and endless learning possibilities. In order to provide students with access to these opportunities, Steve works across the district, at all schools and all levels. In his four years at APS, Steve has had great success in changing the way we think about learning. 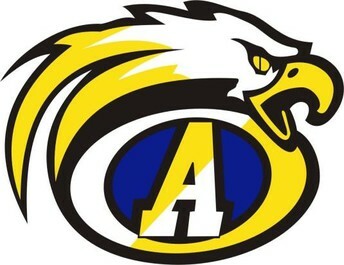 Under Steve’s guidance, APS has incorporated Design Thinking into classrooms and lesson plans. Design Thinking promotes personalized learning, empathy, problem solving and teamwork. According to Steve, design thinking offers the chance to use 21st century tools to solve 20th century “analog” challenges. Steve works closely with Andover Coalition for Education (ACE), which has provided significant funding to launch innovative initiatives. ACE has supported a number of significant innovations that provide personalized opportunities for students to pursue their interests and expand their learning. For example, in his time at APS, Steve has helped grow the number of students pursuing capstone projects increase from 5 to 78. Participation in the Global Pathways program has risen from 14 to 210 students. Steve is responsible for the Global Portal. APS is the first district in the country to implement this innovative way of interacting with people in other countries, allowing students to connect on a global level with state of the art technology. Steve’s passion for innovation is infectious, and he is an inspiration to his colleagues. Teachers at APS are encouraged to expand their skill sets, then share with other teachers. In order to foster teachers’ professional development in Design Thinking, APS sends ten faculty members every summer to the Henry Ford Learning institute in Detroit, a Stanford program. Steve believes that personalization is equally important for students and for educators as well. In four short years, Steve’s focus on innovation and personalization has encouraged educators and students alike to find renewed excitement and adventure in learning. 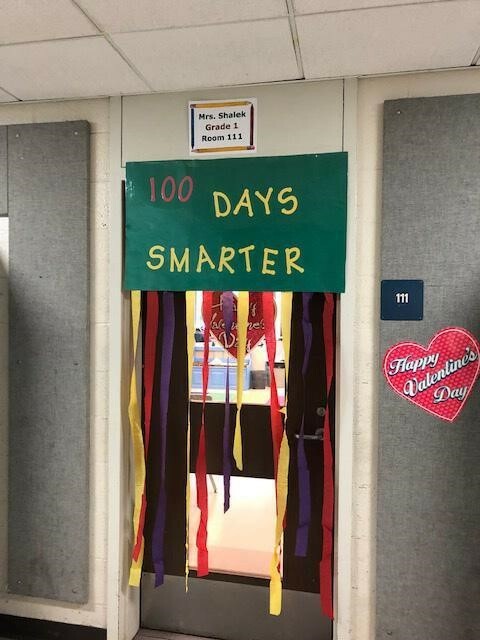 In recent years, APS has become a district involved in numerous instructional innovations from personalized learning to universal design for learning to authentic, project-based learning opportunities. In 2016, APS connected with LearnLaunch, an organization that supports education innovation in the Boston area. LearnLaunch partnered with the Department of Elementary and Secondary Education (DESE) and created a consortium of school districts called MAPLE (Massachusetts Personalized Learning Edtech). MAPLE’s mission is centered on promoting student access to personalized learning in public schools across Massachusetts. 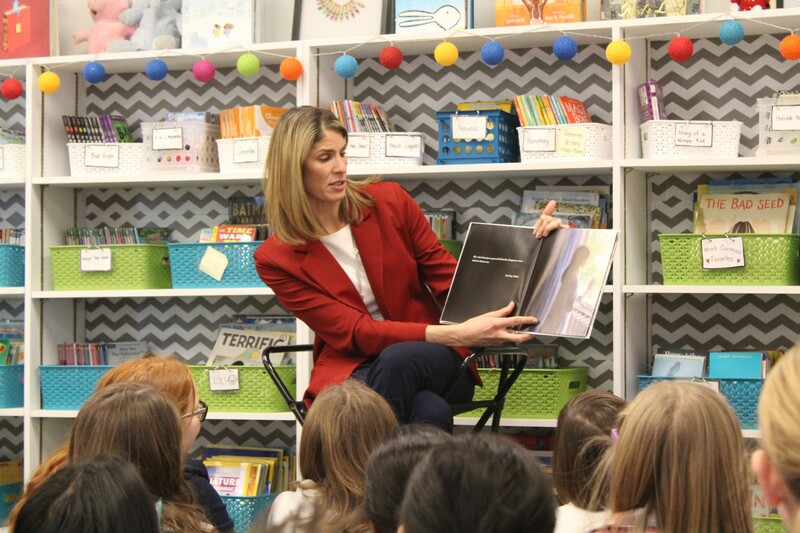 Earlier this year Andover Public Schools was recognized by MAPLE as a Catalyst District, for providing leadership and sharing insights on innovation and personalized learning. 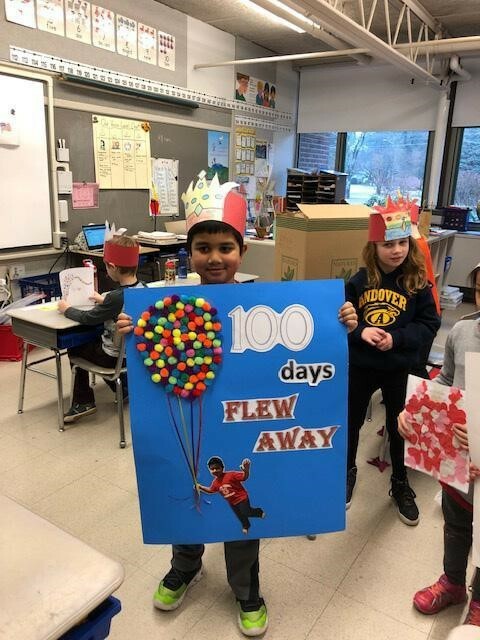 In our efforts to enhance our learning environment for our students, we have worked diligently to increase student engagement and autonomy, provide greater teacher empowerment, and foster a more collaborative school community. We encourage innovation, collaboration, and individual initiative to give students opportunities to pursue areas of individual interests and inspire their creativity through design thinking, individual capstone projects and innovation labs. We have invested our innovation efforts in growing the Capstone project initiative to include more classrooms and students, expanding the Global Pathways program, launching an innovation lab at the high school and maker spaces at all our other schools, and providing professional development in design thinking for our teachers. We believe these and other initiatives will offer the greatest opportunities to prepare our students for an ever-changing world of work by enabling them to pursue their interests, explore advanced technology and create innovative products and experiences of their own. 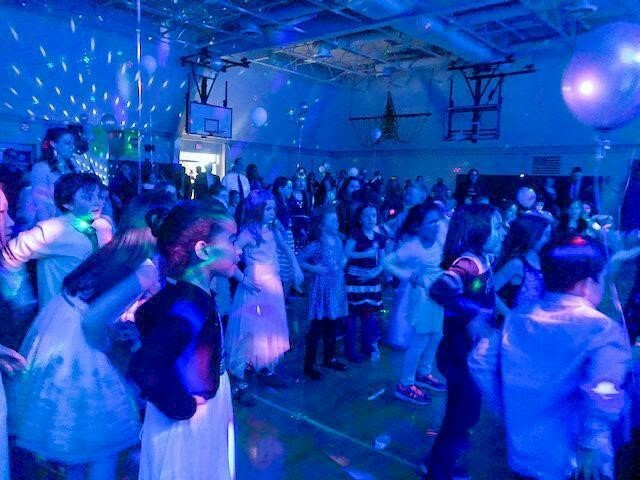 Innovation and personalization gives renewed meaning and excitement to the work we do within the district. The best part of the pursuit of innovation is that it encourages us to reach beyond, and ask how we can provide the richest and most beneficial learning experience for our students. It was an honor to be acknowledged by LearnLaunch for the exciting work that our teachers and students are pursuing. Dr. Berman speaking to teachers and administrators from collaborating MAPLE districts about Andover’s approach to personalized learning. 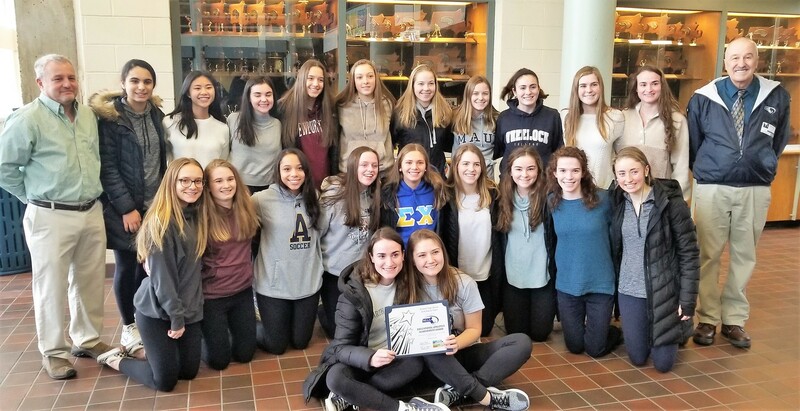 Andover’s student athletes were honored this week by the Massachusetts Interscholastic Athletic Association (MIAA) and presented with the Educational Achievement Award. The award recognizes acts of community service. MIAA Assistant Director Rich Riley presented certificates to two teams at Andover High School--the Andover High School Girls Soccer Team and the Unified Basketball team. As part of the ceremony, Unified Basketball players and coaches received varsity letters and pins from Athletic Director Bill Martin. 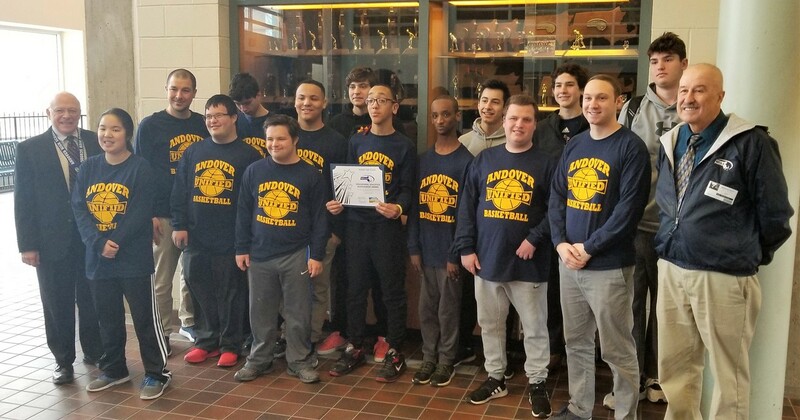 In November 2018, the Unified Basketball team hosted the MIAA and Special Olympics Merrimack Valley Conference Jamboree. Unified Sports encourages youth with disabilities and members of sports teams to come together as student leaders, athletes, and agents for inclusion within their school communities. Also in November, the Andover Girls Soccer team prepared dinners on Thanksgiving morning for families that were affected by the gas crisis. Through this act of community service, these student athletes set a wonderful example of good citizenship. Congratulations to all! The Wood Hill Middle School 8 West students used A Seat at the Table Project lesson plan from the Edward M. Kennedy Institute to learn more about Shirley Chisholm’s story and consider the importance of diverse representation in public discourse. Shirley Chisholm was a person of many firsts: the first black Congresswoman, the first black person to run for president, and the first woman to run for the Democratic Party’s presidential nomination. To promote their own sense of what they might contribute, students decorated donated and recycled chairs to represent important aspects of their identities as a culminating project. 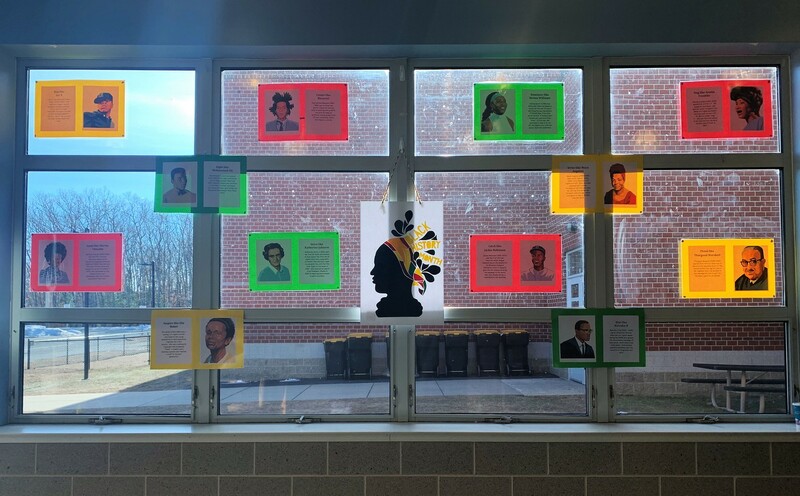 High Plain Elementary is also honoring Black History Month with lessons and literature provided by HPE’s IDEA (Inclusion, Diversity and Equity Alliance) Committee. The IDEA Committee of parents and teachers collaborate to strengthen cross-cultural understanding within the HPE Community. 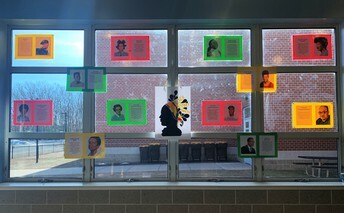 The HPE foyer is designed with photos and biographies of influential black leaders. 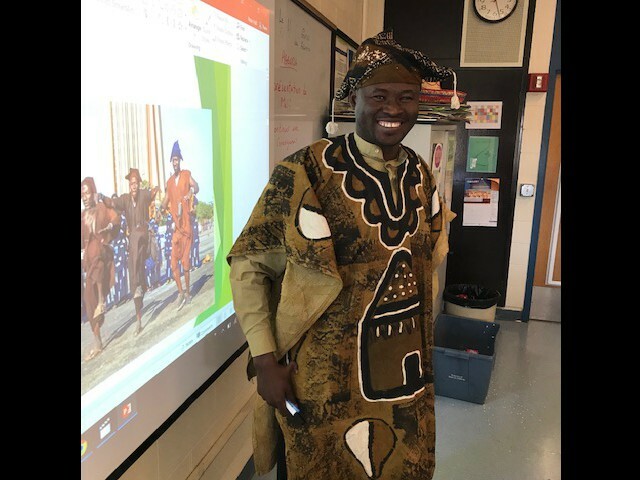 At Andover High School, UMass Lowell Fulbright TEA Scholar Monsieur Drissa Cesse teaches lessons on the country of Mali to World Language teacher Peter Hall’s French 3 and French Conversation classes. Students in French 3 classes are studying French-speaking Africa and the Conversation class is comparing education systems in different French speaking countries. It was a busy time at South Elementary last week. 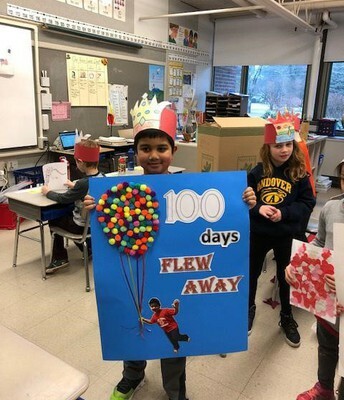 Students celebrated 100 days of school and the South PTO held their Family Snowflake Ball. Over 500 people attended and danced the night away! 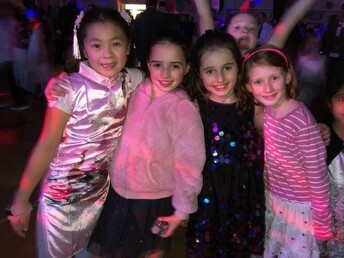 South families dressed up, danced, sang, laughed and had a great time while building an important sense of community in support of students. A big thank you to Kelly Maguire and Amy Berinato for chairing this event! 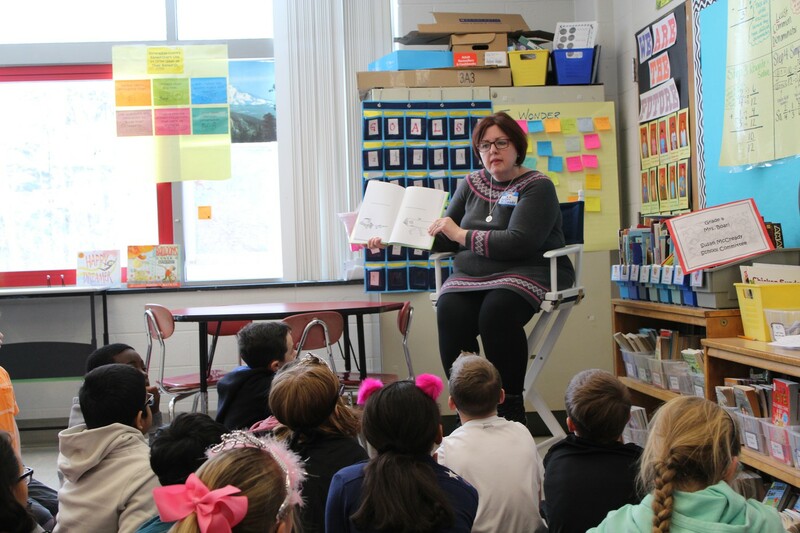 Sanborn Elementary School hosted a Community Read-Along event to coincide with the 10th anniversary of World Read Aloud Day (WRAD). 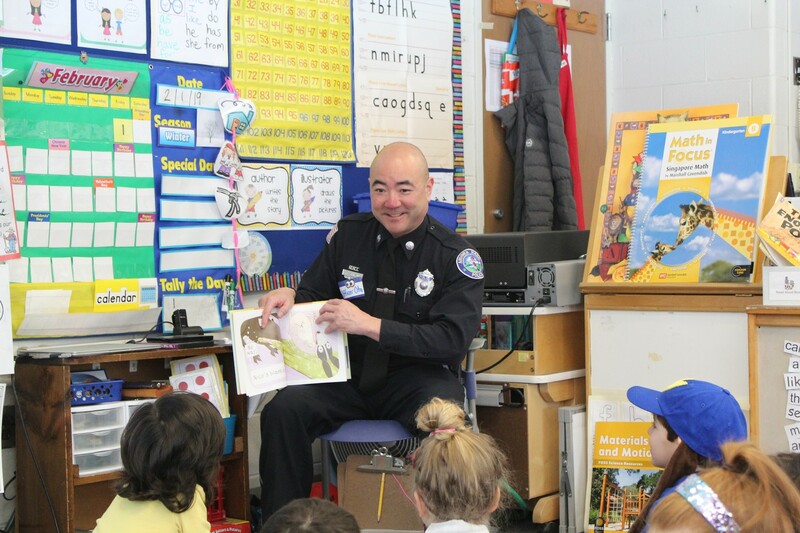 This annual event is a great way to bring members of the Andover community into Sanborn classrooms to promote the joy of reading. 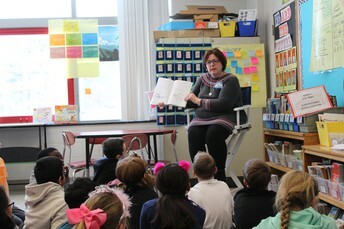 World Read Aloud Day was created by the nonprofit, LitWorld, to encourage self-empowerment and community change through literacy. WRAD is now celebrated in 173 countries and growing. The students were honored to have so many local community leaders participate this year including our local Fire and Police departments, staff from the Lowell Spinners, a local surgeon, librarians from Memorial Hall, local School Committee members, and our newly elected U.S. Congresswoman, Lori Trahan. 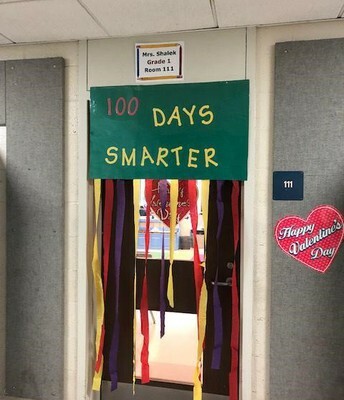 kindergarten is available for those who qualify. All kindergarten students, regardless of FULL or HALF DAY, must be registered. More information can be found on our website. 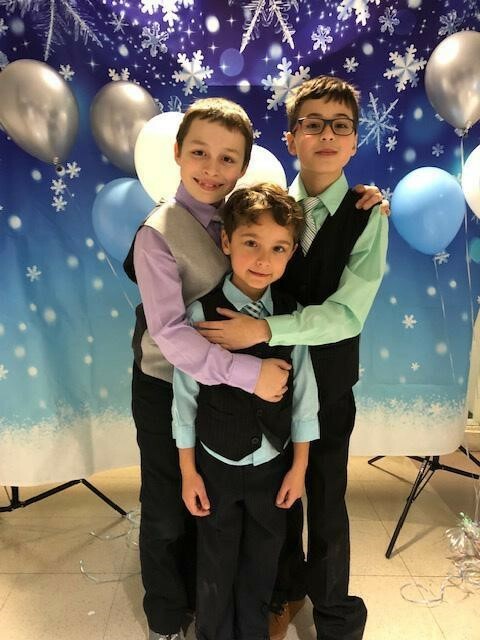 Shawsheen is also accepting appointments for screenings and tours on either Friday, March 22, 2019 or Friday, May 10, 2019 for September 2019 enrollment in the half or full day programs. For additional information about the program and tuition rates, please refer to our website or call the school office at 978-247-8200. Middle grade author Alyson Gerber is coming to Temple Emanuel to launch her second book, Focused. Focused, geared towards middle school students, features a girl caught between her love for chess and her ADHD. Temple Emanuel invites all to hear Alyson read from her book, followed by a book signing. 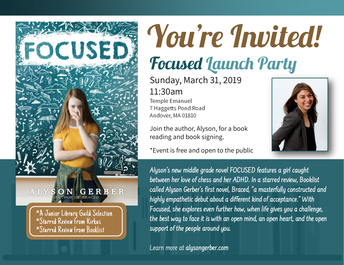 Andover Bookstore will also be on site to sell both her first book, Braced, and her new book, Focused. Event is free and open to the public. It will be held at Temple Emanuel on Sunday, March 31 at 11:30am. Due to February vacation week, the next issue of Warrior Wednesday will be published on February 27, 2019.